BEIJING — Visits by foreigners to the sometimes volatile Himalayan region of Tibet will be suspended until the end of a major Chinese political meeting in Beijing next month, a tour operator said Monday. A woman who answered the phone at the state-run Tibet International Travel Service in the local capital of Lhasa said no foreigners would be issued special permits to visit until Oct. 29. The Communist Party's national congress, held once every five years, is due to begin Oct. 18 and is expected to run about 10 days. The woman, who spoke on condition of anonymity because she was not authorized to talk to the media, said she had been told that all rooms at Tibetan hotels where foreigners are permitted to stay had been booked by the government. Calls to the Tibetan regional and Lhasa city tourist bureaus rang unanswered. China routinely imposes strict security measures around sensitive political dates. Tibet has frequently been closed to tourists during anniversaries of events such as 2008's deadly anti-government riots that broke out in Lhasa and spread through numerous Tibetan regions. 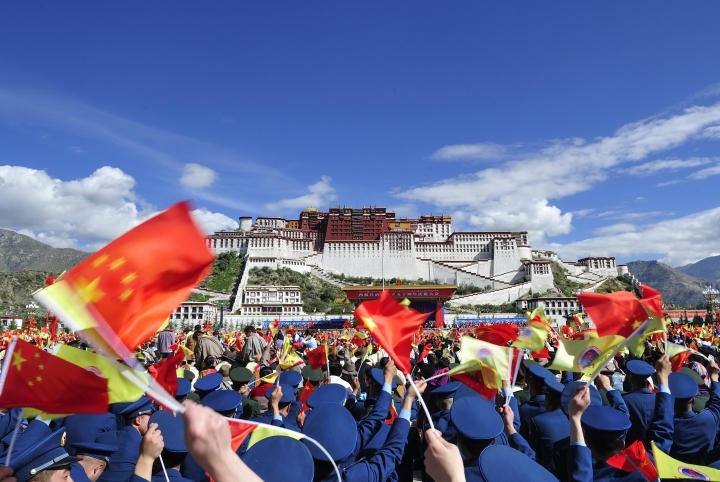 Beijing has long imposed far stiffer security and travel restrictions on Tibet than on other parts of the country, requiring foreigners, even those residing in China, to obtain special permission to visit. Beijing says Tibet has been Chinese territory for more than seven centuries, but many Tibetans believe they were essentially an independent nation for most of that time. Some complain that Chinese rule and an influx of migrants are eroding Tibet's Buddhist culture and traditional way of life.